Home Lifestyle On the Grapevine Ladies’ Wine? As chance would have it, a couple of weeks ago I found myself at a local wine-tasting, though with the flashing lights, the deafening music and the general hub-hub it could have been a karaoke party. At one point, trying to concentrate on the taste of a Sauvignon Blanc, I noticed that I was standing beside a Thai woman who appeared to be one of the young and upwardly mobile set. I asked if she was enjoying the Sauvignon Blanc, which as you know, can sometimes be a bit tart and acidic. She replied in slow English as though addressing a dim-witted child saying, “I am Thai lay-dee…I like soff wine.” She placed an emphasis on the word soff, at the same time caressing the air with her hand. “So much for gender stereotyping,” I mused. It seemed to me that her remark was a bit old-fashioned, if not downright silly. 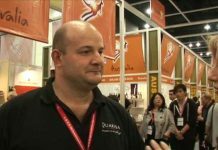 It’s unlikely that every Thai lay-dee only enjoys “soft” wines (whatever they are supposed to be) and women with a bit of wine experience would probably have developed a much wider taste. The other day, while browsing the website of a Bangkok wine outfit, I noticed one very sweet wine described as “a wine for ladies.” In most western countries, you just couldn’t get away with that and I can think of several feisty female acquaintances who would be furious at seeing that description. They’d be firing off incandescent emails to Bangkok before you could say Trockenbeerenauslese. 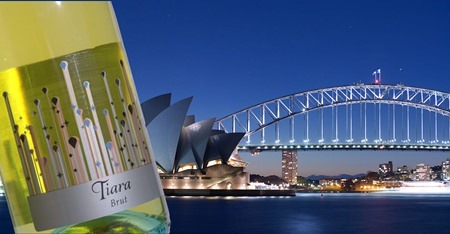 All this comes to mind because these two Tiara wines, with their distinctive packaging showing a tiara, might be designed to appeal to the female of the species. Interestingly, the word “tiara” is actually a very old one indeed, having its roots in Latin and ancient Greek. Originally the word referred to a richly-ornamented cylindrical high crown of leather, used by the kings and emperors in ancient Mesopotamia. It would appear that the original leather tiaras were worn not by women but by men. The low price of these wines is a clue to the fact that they’re fruit wines, which you may have noticed are becoming more and more common on Thailand’s supermarket shelves. 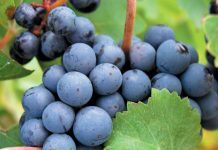 Fruit wines are usually made by adding other ingredients to the basic grape-wine and with a bit of luck, the character, aroma and taste of the original grape should still come through. Wine snobs may turn up their collective noses at this kind of thing, but because of the monstrous taxes on wine in this country, fruit wines at least give us the chance to drink something half-decent without applying for a bank loan. Like many other ex-pats, I come from an old European culture in which wine with lunch and dinner is perfectly normal, although in our climate I very rarely bother with lunch and avoid drinking alcohol until well into the evening. Both these wines are designed to be fun wines – easy-drinkers for celebrations and parties. Even so, I came to the conclusion that they’re very well-made, the character of the original grape certainly comes through, and they taste quite a bit more expensive than they actually are. This is a light straw colour with plenty of bubbles and a tangy, slightly floral aroma of peach, white fruit and a faint citrus-like reminder of dried herbs. There’s a good spritziness on the palate and an attractive dash of acidity. It’s a Chardonnay-based wine and the distinctive character of the grape comes through on the taste with fresh peach and melon flavours. 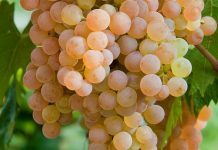 There’s even that slightly creamy texture that you often find with Chardonnay and the wine has a surprisingly long finish with a satisfying zing of natural acidity. The word brut, incidentally is used on sparkling wines to indicate that the wine is slightly dry, but not totally so. I’d describe this one as off-dry but one of my friends thought it was slightly sweeter than expected. But in these matters, personal assessment is usually unreliable because like saltiness in food, people have different perceptions of sweetness. At just 12% ABV, the wine would make an ideal party sparkler, especially if you feel that it would be a waste of money serving genuine champagne. If you suspect that most of your guests can’t tell the difference between a cheap sparkler and The Real Thing, then why bother? I certainly wouldn’t. In any case, this attractive light wine tastes just as good as some sparkling wines costing twice the price. I must confess that not normally being a lover of sweet wines, I was not especially looking forward to tasting this. But what a surprise! Although it’s certainly sweet, there’s also a very welcome tang of acidity on the palate which prevents the taste from becoming cloying. The wine is based on the Moscato grape and the delightful perfumed aroma of raisins is unmistakable. In fact, the aroma, with its hint of fresh green apples is quite outstanding for a wine in this price range. The grape of course is also known as the Muscat, which exists in a couple of hundred different varieties. It’s thought to have come from somewhere in the Middle East and it’s been used in winemaking since the days of the ancient Greeks. This one is a mere 6% ABV, not very much more than a local beer, but I am all for low-alcohol wines. On the palate, you’ll notice a pleasing warm and luscious taste of white fruit and raisins and there’s a long off-dry finish. I have to admit that I enjoyed this wine a lot more than I expected, because it has a good balance, a lovely aroma and it’s well made. If you are planning a celebration soon, I’m sure you’ll find that these bargain sparklers offer excellent value. It hardly needs saying that you should serve them well chilled, but I shall say it anyway.